Stoneridge Place Cottage #2 - Vacation or Executive Retreat 2BR 2BA Garage! Stoneridge Place is just 2 Miles north of downtown Wasilla. 2 Bedroom, 2 Bathrooms and an oversized garage all with in floor heat. You’ll love the ambiance we've worked to create and the best is yet to come! Rustic shabby chic decor. Great place for couples, solo adventurers, business travelers, and families. We also have a 1 bedroom, 1 bathroom cottage next door on another listing. - Actual Photos Coming Soon / Photo Similar Pictures. Larger Living Room w/ (Sleeper)Sofa & Chair, Master Bedroom w/ Queen Bed and Second Bedroom w/ 2-Twin XL Beds! We hope you like our vision for these beautiful cottages! Lots of light, private and cozy. Open concept entertainment, full kitchen, spacious 9' ceilings, heated concrete floors, tiled bathrooms and an oversized one car garage! Other Features include: Cable TV, Wifi, 55" flatscreen (Smart TV), Sofa Sleeper with memory foam mattress, dining for 4 and more! Beautiful house and great backyard! Had everything we needed for our weekend trip down to Wasilla. Highly recommend. Loved the modern look, and the space! The beds were comfortable. Had all the essentials needed for a comfortable stay. Way better than a hotel! This is will be our go to when we come up to visit. Absolutely georgious property, my wife is pretty picky and she loved it. Thank you!! Perfect place to stay while in town for the Palmer Fair, close enough to town for anything. It even has a garage, how cool is that. Highly recommend this for anyone. We stayed here for eight nights. 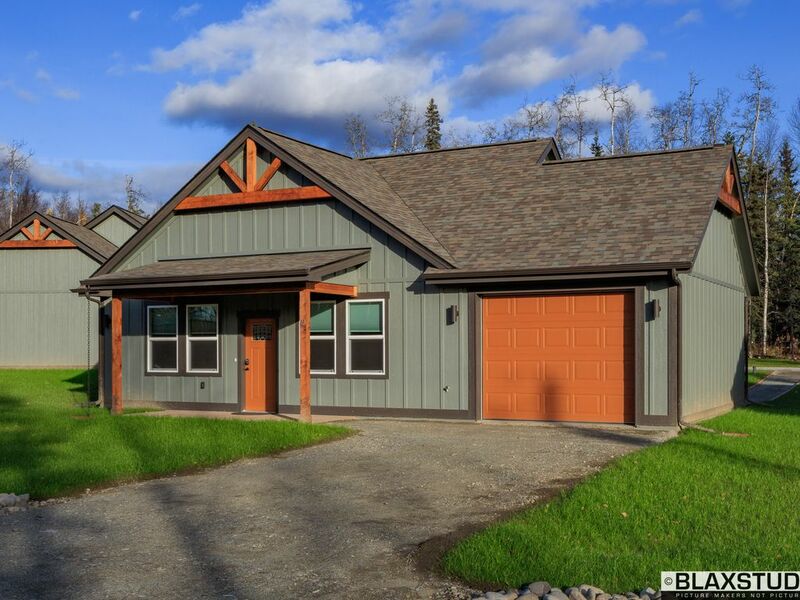 This little home in Wasilla is just perfect for getting around south central Alaska. The house is very cute and nicely decorated . Top of the line appliances. Washer & dryer too. And an attached garage to park in!! Travel doesn’t get any more comfortable than this. I could live in this cute little house. I highly recommend this vacation rental. This place is perfectly designed with top of the line everything. Very smoothe process the entire time. Highly recommend to anyone visiting the area. We were very impressed.